Update: October 3, Metro West Collaborative Development told the TAB they were stepping away from the Engine 6 project after a deadline to purchase the site passed and the deal fell through. The property owner, Hospice of the Good Shepherd, said they need to move on and sell the property. On 6/25/2013, the Mayor announced that the current proposal for the Pine St Inn/Metro West Collaborative development of Engine 6 will not be going forward. The Mayor has called for a proactive discussion on affordable housing for Newton and we expect to be getting more details very soon. 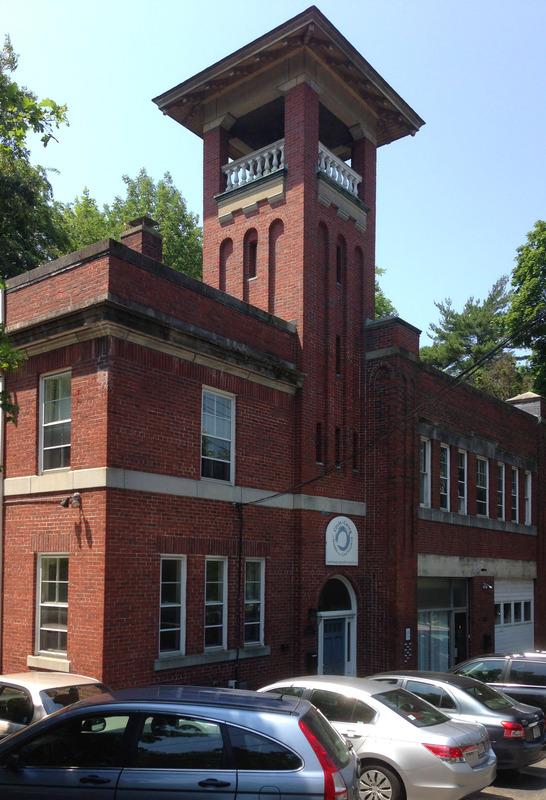 The Supporters of Engine 6 invite you to a public program on the proposal by Metro West Collaborative Development and Pine Street Inn to preserve the historic Waban firehouse, located on Beacon St. at Rte. 16, by creating low-income studio apartments for 9 formerly homeless individuals and 1 live-in house manager. So far the Mayor has withheld the necessary federal funds for it, but the proposal is still under consideration. Lyndia Downie, President and Executive Director of Pine Street Inn, will be the guest speaker. Come learn more about permanent supportive housing for the homeless, affordable housing development in Newton, and how Engine 6 would serve Newton’s interests. The program will take place on Monday, Sept. 23, at 7:30pm, at the Eliot Church (474 Centre St., Newton). For more information, email yesengine6@gmail.com or visit supportengine6.org. On Wednesday, June 19, 2013 at 6:10PM, Chris Steele, Maureen Reilly-Meagher and Sallee Lipshutz, as representatives of the “proto” Waban Area Council, met with Mayor Setti Warren in his office at City Hall to discuss the Add-a-Lane project. As the meeting was concluding, we raised the issue of Engine 6 and the fact that there is substantial fear for neighborhood safety as well as distrust of the selection process of prospective clients/tenants as being benign. The Mayor told us that he had, in fact, received many negative letters that we wouldn’t believe. Mayor Warren did not dismiss those concerns off-handedly, but allowed that there is much irony in our raising them. There are, he averred, already people living among us in “affordable housing” in Newton who are not vetted at all. The Engine 6 program would scrutinize the tenants very closely and reject the ones who didn’t fit the selection criteria, while the housing already available to them in Newton doesn’t select or deselect tenants for these same characteristics. He showed definite visceral support for Newton’s promoting this program. He listened to our complaint that the purchase of the property and the City approvals had slipped in under the radar and that people felt “under the gun” with a July 2 deadline for community response. He allowed that he and Candace Haven (Planning Department) have the final say on funding and that the July 2 deadline was under his (and Candace’s) control and was not written in stone. He also indicated that he would not sign off on the project if the community did not embrace it.